UPDATE OCT. 17: 29-year-old Keifer Cannon has been arrested for allegedly killing his cousin with a metal pipe. Police say that the two men got into an argument and Cannon hit the victim in the head with the pipe. Cannon was taken into custody and booked into the Clark County Detention Center. The coroner will release the name and age of victim after notification has been completed. 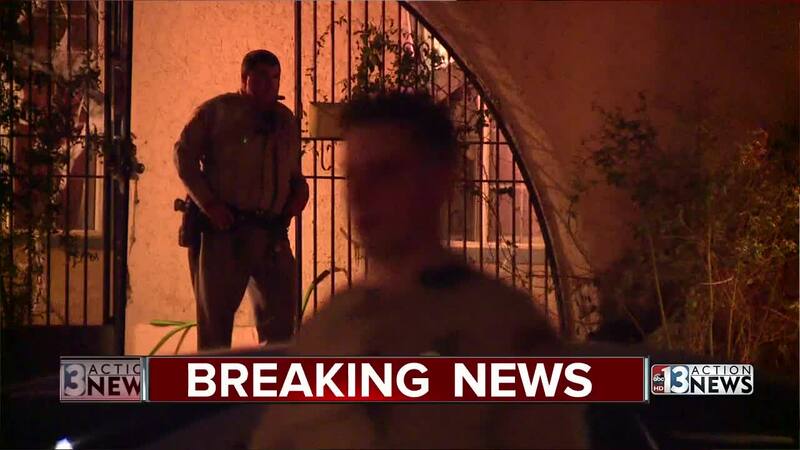 Las Vegas police are investigating after a body was found at a home near Harmon Avenue and Sandhill Road. Neighbors say officers arrived on scene Tuesday around 4 p.m. 13 Action News reached out to Las Vegas police to get more information.